This climate region stretches between 60°N and 70°N latitudes in the northern part of the continents. The main areas of this climate are southern Alaska, northern Canada, parts of Norway, Sweden, Finland, northern Siberia tot the south of the coastal parts. This climate is not found in the Southern Hemisphere. Summer is warm and short, about two or three months long. Winter is severely cold and lasts for six or seven months. The summer is merely warm and winters very cold with extreme temperatures ranging from -35°C to -45°C. As the region lies very far from the equator, the sun rays are extremely slanting. Annual rainfall is about 40 cm. This rain is cyclonic rain. Water remains in the freezing state for months. 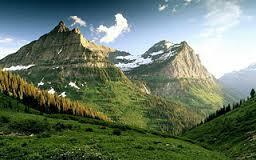 The natural vegetation of this climate is the evergreen coniferous forest which is called 'Taiga' in Russia. The species of the trees are spruce, pine, maple, fir and cedar. They are cone-shaped with short and drooping branches. Their leaves are like a needle so that they can prevent water loss. Their shallow roots absorb enough water when there is ice-melting. The wood of the trees is soft and very useful. It is used for making pulp for paper, matches, plastics, etc. Very few animals live in this cold dry climate. They are small, sturdy and have short tails and ears. 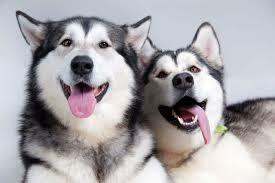 The body is covered with thick fur which protects them from cold. The main species of wild beasts are bear, beaver, squirrel, minx and lynx. 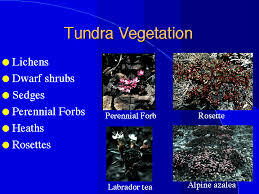 The Tundra climate region is located beyond 60°N and 70°N latitudes around the pole in the Northern Hemisphere. 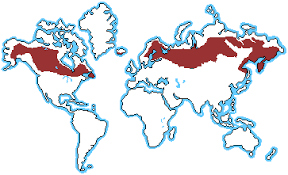 The chief areas of this climate are the northernmost parts of Canada, Alaska, north-west Scandinavia, Iceland, Greenland and Siberia. There is severely cold throughout the year. The temperature goes down below the freezing point. In some places it is below -35°C. Summer is short not more than three months long. Winter lasts for nine or ten months. Sun rays are very slanting. Rainfall occurs in summer and is not more than 25 cm. Heavy snowfall occurs in winter. Due to biting cold and snowfall, trees and plants do not grow there. 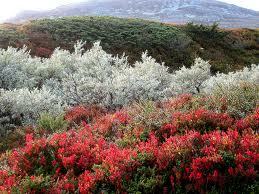 However, in the southern part birches, shrubs and willows are seen. In the northern parts only moss and lichen are found. They can survive in the extreme cold. They grow when the snow melts in summer. 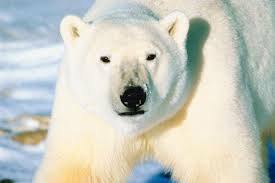 The wild animals found in this climate are reindeer, caribou, polar bear, musk ox and arctic fox. These animals have thick fur which keeps them warm. Whales, seals and some other fishes are also found. 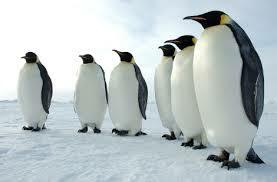 In the Antarctic coasts, penguins are found. Siberian climate region stretches between 60°N and 70°N latitudes in the northern part of the continents. The summer is merely warm and winters very cold with extreme temperatures ranging from -35°C to -45°C. 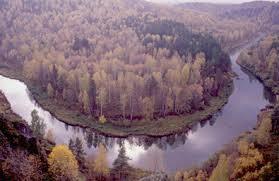 The natural vegetation of this climate is the evergreen coniferous forest which is called 'Taiga' in Russia. 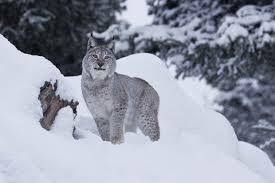 The main species of wild beasts are bear, beaver, squirrel, minx and lynx. Describe the lifestyle of people living in cold region. Life in cold region is very difficult. It is thinly populated and the people have semi-nomadic life. Eskimos, Lapps, etc. live in igloos in winter and tupiks (animal tents) in summer. Hunting and fishing are major occupations of tundra people. Since few decades there are some changes in their lifestyle. 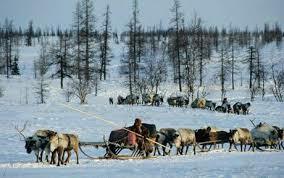 They have started to live in wooden houses and engaged in reindeer farming, mining, lumbering etc. How long is summer in Siberian climate? 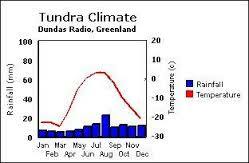 How long is summer in Tundra climate? 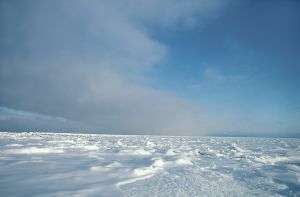 What is the temperature in winter of Tundra climate? WHY IS IT SO COLD IN TUNDRA REGION? Any Questions on 'Polar Zone '?